Annapolis Micro Systems Utilizes Analog Devices ADC & DAC Chips for Highest Density, Resolution & Sample Rates - Annapolis Micro Systems, Inc.
Annapolis Micro Systems, a leading FPGA board and systems supplier, announced today the availability of four WILD FMC+ Mezzanine Cards that integrate Analog Devices’ latest high-performance ADC & DAC chips. 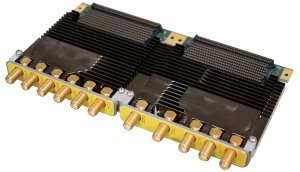 These rugged COTS Cards deliver superior density, resolution, and sample rates for applications requiring the most advanced signal processing capability. The 8A30 ADC and QA30 ADC boards are available in 2, 4, or 8 channel configurations, with a maximum sample rate of 2.0, 2.6, or 3.0 GSps at a resolution of 14 bits. Analog Devices AD9689 chip is utilized for ADC speed grades of 2.0 and 2.6; AD9208 is employed for 3.0. The QDA0 DAC board has four channels with a maximum sample rate of 12.0 GSps at a resolution of 16 bits. The integrated chip is the AD9164. The AD9164 is also used in HM40 ADC & DAC. 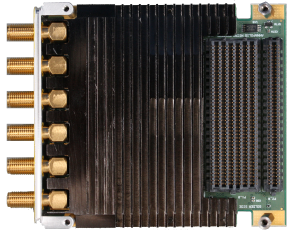 The double-wide board has six ADC channels running at up to 4.0 GSps 12 bits each, and a single 12.0 GSps 16 bit DAC channel for built-in test or a general signal source. WILD FMC+ Cards are optimized for use with Annapolis WILDSTAR OpenVPX and PCIe Baseboards, which employ the latest Xilinx UltraScale(+) and Intel Arria 10 & Stratix 10 FPGAs. Annapolis Cards and Baseboards feature WILD FMC+ (WFMC+™) next generation I/O sites. Each Baseboard has one (3U OpenVPX & PCIe) or two (6U OpenVPX) WFMC+ site(s). WFMC+ is compatible with the FMC/FMC+ specification, but outperforms it. WFMC+ supports 32 HSS and 100 LVDS as opposed to only 24 HSS and 80 LVDS for FMC+. This provides the ability to support higher density ADC and DAC solutions, as well as card stacking. These four Mezz Cards supplement Annapolis’ WILD™ EcoSystem. 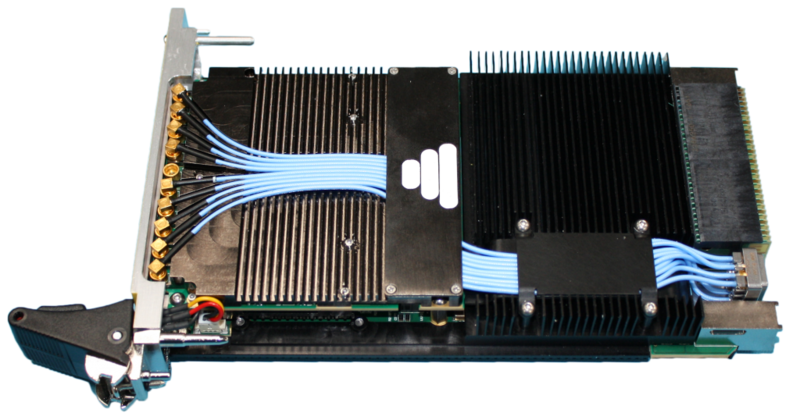 The EcoSystem is an interoperable portfolio of rugged high-performance OpenVPX and PCIe COTS boards and systems that are used for challenging data acquisition, digital signal processing, and data storage applications. Annapolis boards and systems are designed for advanced High Performance Computing (HPC) and Electronic Warfare (EW) applications, including DRFM, beamforming, sensor processing, wireless communication, and radar signal processing.